This is our way to engage the community! 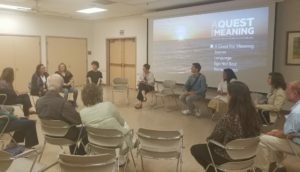 We envision series of talks, movies, lectures and guided conversations throughout Solano County to inspire and support grassroot initiatives for the good of the whole. We do not have all the answers, but we are asking questions. According to Socrates, “understanding a question is half an answer.” We hope these questions will help guide all of us as we embark on our quest for answers to our key question: how do we co-create a world that works for everyone? Join us to discuss the design principles and strategies needed for vocation and regenerative enterprise design. We’ll discuss how we could redesign the economy for security, prosperity and a stable climate with transformation based on permaculture design principles, methods and ethics for an economy that benefits all life. This talk will be based on the workshop presented by Kevin Bayuk and Erin Axelrod at Santa Cruz Permaculture. Come help us explore how to design enterprises and organizations for needed goods and services in ways that enhance and restore environmental and social prosperity. Register here. Author, permaculture expert and former elected official (Lake County Board of Supervisors) DENISE RUSHING helped launch our Conversations and Sustainable Backyard program in Suisun City this year by sharing how to engage, enroll and transform a community from the grassroots by choosing fun projects and initiatives that have the potential to connect across the spectrum. 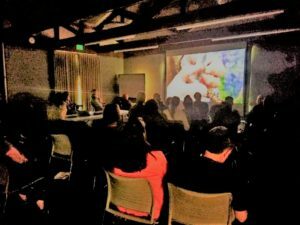 In the spring of 2018, Vallejo locals enjoy a special screening of ‘The Economics of Happiness: Local Futures’ which illustrates the social and spiritual impact of economic globalization on local communities and economies, and highlights the many benefits of shifting towards the local. This film screening is part of Sustainable Solano’s community Conversations program bringing inspiring speakers and film screenings to Solano county in an effort to open dialogue and guide community conversations about meaningful topics relevant to global and local sustainable practice, conservation and social policy. 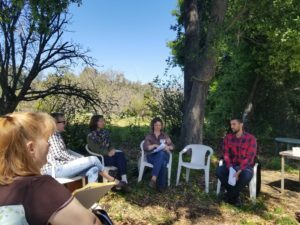 On a sunny Saturday morning, a group of local community members gathered at Morningsun Farm in Vacaville to have a conversation with a Food and Farm Attorney Neil Thapar from the Sustainable Economies Law Center. A vital investigation of the economic and environmental instability of America’s food system, from the agricultural issues we face — soil loss, water depletion, climate change, pesticide use — to the community of leaders who are determined to fix it. 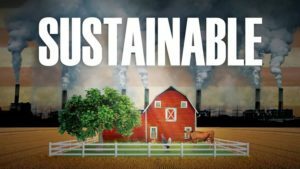 Sustainable is a film about the land, the people who work it and what must be done to sustain it for future generations. The narrative of the film focuses on Marty Travis, a seventh-generation farmer in central Illinois who watched his land and community fall victim to the pressures of big agribusiness. Determined to create a proud legacy for his son, Marty transforms his profitless wasteland and pioneers the sustainable food movement in Chicago. Symphony of the Soil explores the complexity and mystery of soil. Filmed on four continents and sharing the voices of some of the world’s most esteemed soil scientists, farmers and activists, the film portrays soil as a protagonist of our planetary story. Using a captivating mix of art and science, the film shows that soil is a complex living organism, the foundation of life on earth. Through the knowledge and wisdom revealed in this film, we can come to respect, even revere, this miraculous substance, and appreciate that treating the soil right can help solve some of our most pressing environmental problems. Public Health Advocate/Consultant, Elizabeth Monteadora, spoke on global and local water equity issues and how they affect the health of our communities and environment. Discussion topics included safe drinking water access in our schools, water management practices impacting our local drinking water, the water impact of commercial farming vs organic farming, Standing Rock, potential grant/funding opportunities for California (Solano County) agricultural operations and more. Community discussion on what money symbolizes in an economic context, the history of how it became a representative of value and the role of currency as a unit of measure. Attendees took a journey through the origins of economic life and the emergence of our banking systems. The conversation looped back to our present day economic climate by covering the alignment of purchase with values, how to best determine ‘true price’ for value of goods or services and allocating capital (profits) for mutual benefit. This was the first talk in the series of 5 presentations about Next Economy.